Puran Poli is sweet stuffed flat bread that is a traditional dessert of Maharashtrians. 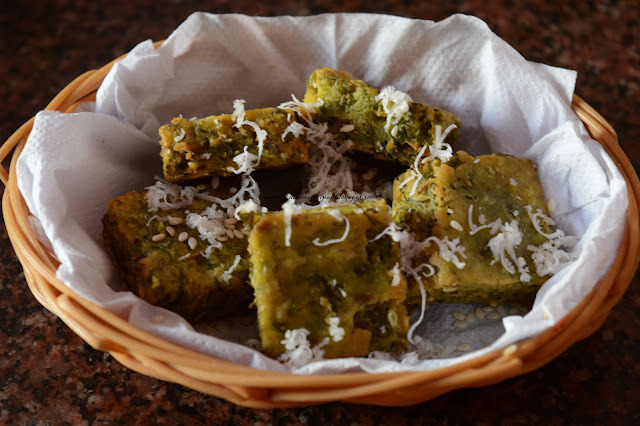 Literally translates to “puran”-the sweet filling in “poli”-the chapati or flat bread. 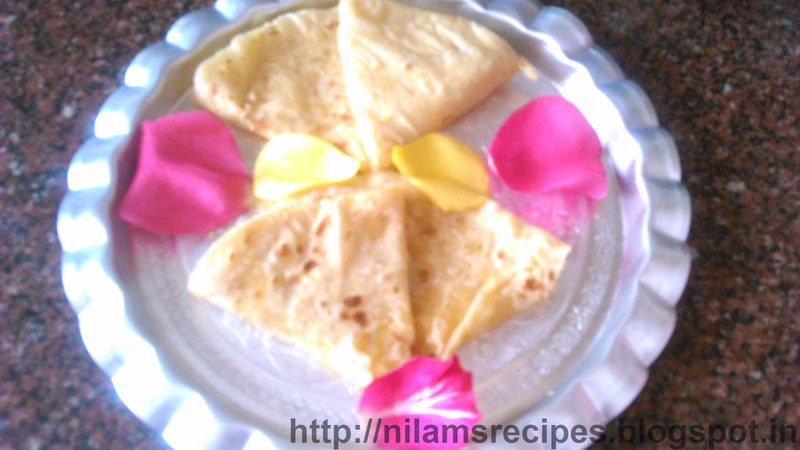 The aroma while making puran poli at home and the delicious taste while eating it is just awesome. 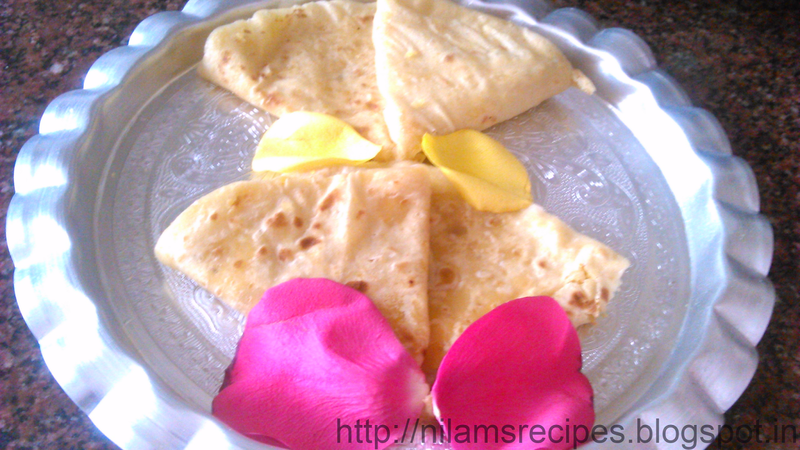 Read the step – by – step puran poli recipe here with images. Rinse the chana dal and soak for at least 2 hours. 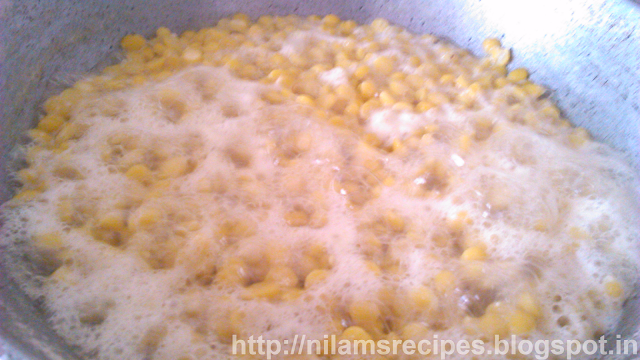 In a pan add chana dal with the same water and boil it. Strain the cooked dal, the dal has to be strained well. Keep the stock aside and this stock can be used for making katachi amti. Heat pan and add chana dal and jaggery. 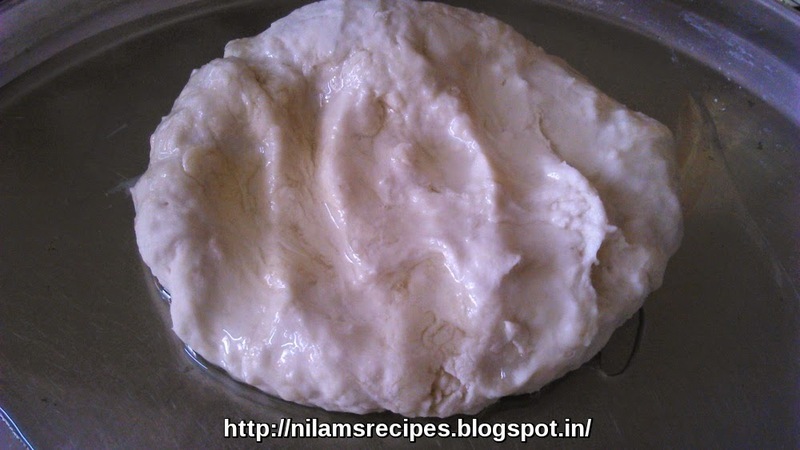 Stir and let this puran mixture cook on a low flame till the mixture become dry. Add the dry ginger powder, nutmeg powder, cardamom powder. 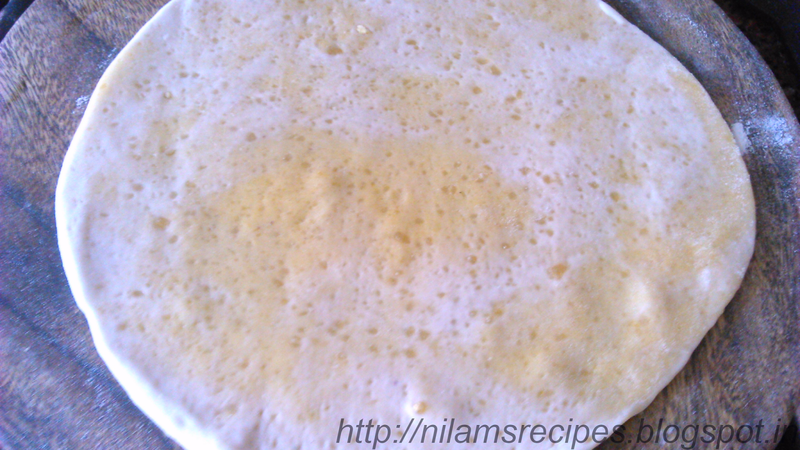 Keep on stirring the puran mixture at intervals. Once the puran mixture become dry and thick switch off the flame. Let it cool and then mash the puran mixture in mixer and keep aside. Take all purpose flour add salt and water and make a dough. Make a bowl and place a mixture of puran in the center of it. Puran poli will puff up. 1) Rinse the chana dal and soak for at least 2 hours. 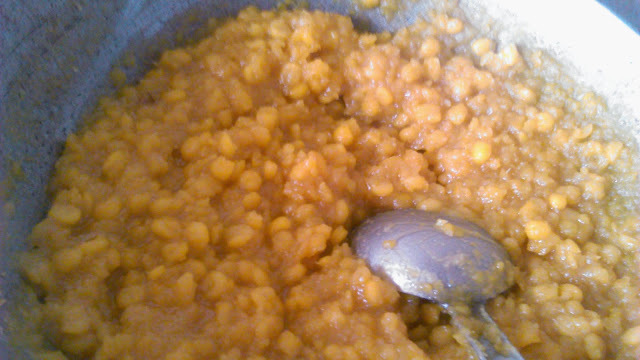 In a pan add chana dal with the same water and boil it.Strain the cooked dal, the dal has to be strained well. Keep the stock aside and this stock can be used for making katachi amti. 2)Strain the cooked dal, the dal has to be strained well. Keep the stock aside and this stock can be used for making katachi amti. Heat pan and add chana dal and jaggery. Stir and let this puran mixture cook on a low flame till the mixture become dry. 3) Add the dry ginger powder, nutmeg powder, cardamom powder. 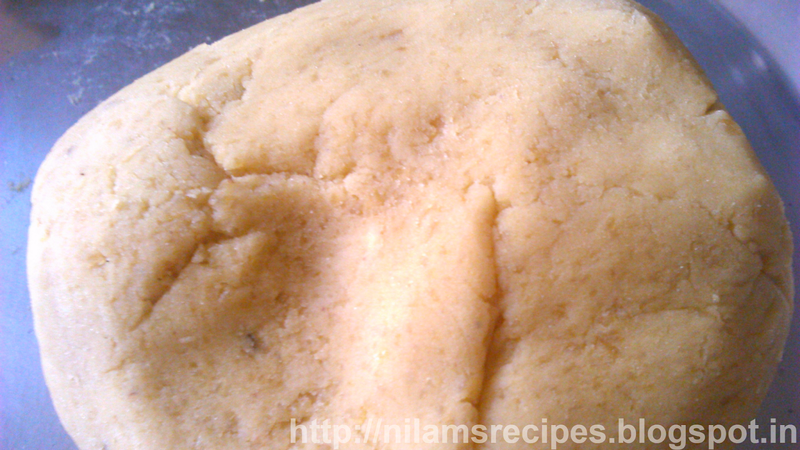 Keep on stirring the puran mixture at intervals. Once the puran mixture become dry and thick switch off the flame. Let it cool and then mash the puran mixture in mixer and keep aside. 4) Take all purpose flour add salt and water and make a dough. 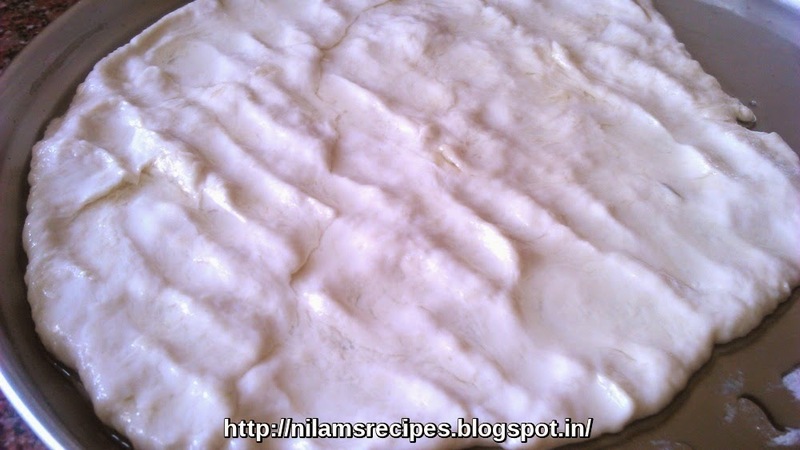 The dough should be very soft as shown below. 5) Add 1/2 cup of oil and keep aside for 1-2 hours. 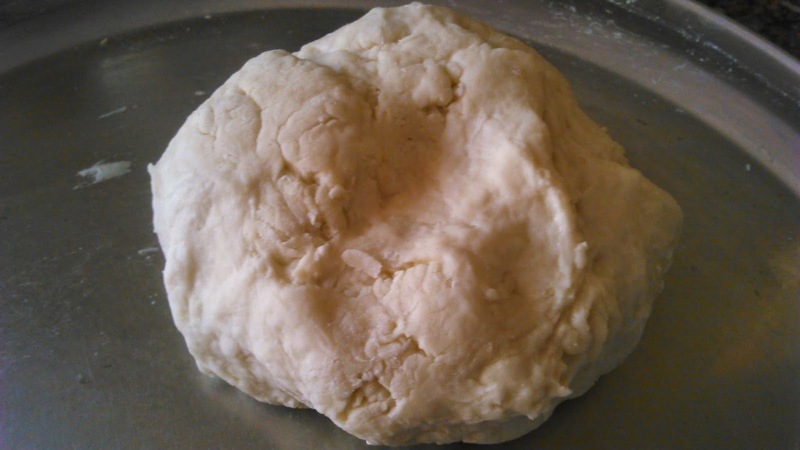 6) Take a medium size ball from dough. Spread it on your palm by using fingers. Make a bowl and place a mixture of puran in the center of it. Bring the edges together towards the center and join all the edges and pinch them. 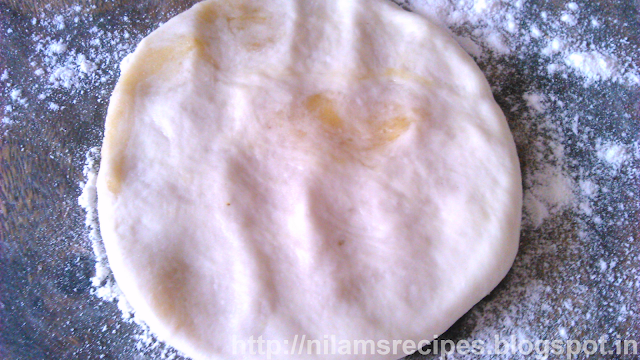 Sprinkle some flour and start rolling the dough and make a poli. 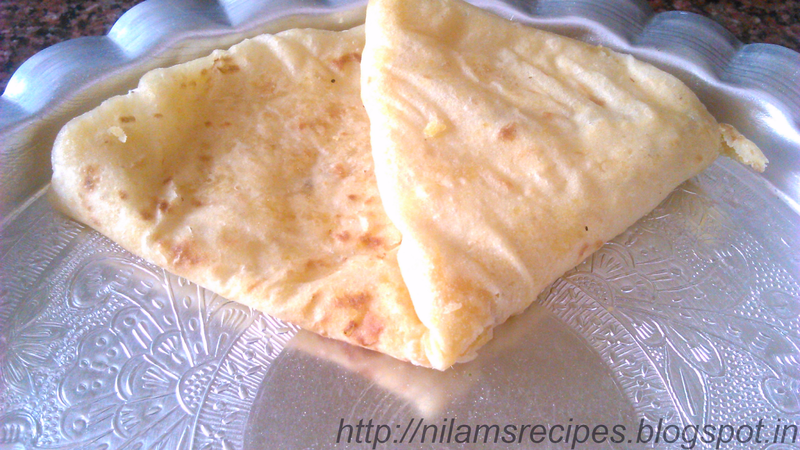 7) On a heated tawa place poli and spread some ghee. 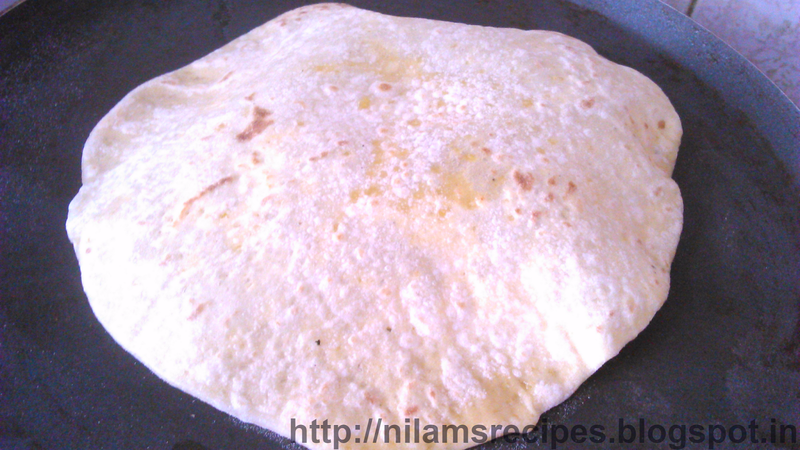 Once the one side gets browned, turned over and cook the other side.Puran poli will puff up. 8) Make all the puran polis this way. Serve with ghee, yogurt.